The Arizona Diamondbacks finally got some good news on the injury front. The team activated center fielder A.J. Pollock from the DL Monday night. Pollock’s return was a little earlier than expected after breaking his thumb seven weeks ago. While he went 0 for 4 in a loss to the Cardinals, the Diamondbacks are no doubt thrilled to have Pollock back as they try to hold off the Dodgers in the NL West. Pollock played just two minor league rehab games before coming back. It was actually one and a half games more than Pollock himself felt he needed. After Pollock’s second rehab game, Diamondbacks manager Torey Lovullo said he received a long text message from the outfielder explaining why he was ready to return. It turns out, that was all the convincing Lovullo needed to bring Pollock back from the DL. Before the injury, Pollock was hitting .293 with an OPS of .969. He was in the midst of a career year until breaking his left thumb diving for a ball in center field. Needless to say, he’s a big piece of the puzzle if the Diamondbacks are going to return to the postseason for the second straight year. With both Paul Goldschmidt and David Peralta coming off exceptional performances during the month of June, Arizona’s lineup is nearly at full strength heading into the second half of the schedule. While Pollock was out, Arizona acquired Jon Jay from the Royals. The Diamondbacks are also close to getting Steven Souza Jr. back from a long DL stint as well. With Pollock, Peralta, Jay, Souza, and Jarrod Dyson, the Diamondbacks are about to have an outfield that’s as deep and versatile as any in baseball. That should allow Lovullo to mix and match while also easing Pollock and Souza back from their injuries. 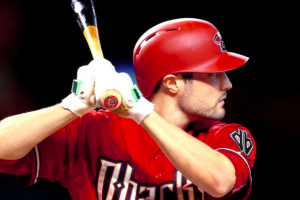 Of course, with the added depth provided by the acquisition of Jay, the Diamondbacks can afford to ease Pollock back slowly. Obviously, it remains to be seen whether he can pick up offensively where he left off before the injury. But both he and the club are optimistic that he’ll be able to regain his form. At the moment, the Diamondbacks are in a bit of a funk. They have lost four in a row, causing their lead over the Dodgers to shrink to 1.5 games. However, with Robbie Ray and Shelby Miller returning last week, Pollock coming off the DL on Monday, and Souza on his way, the Diamondbacks are getting healthy at a good time. Things are starting to look up in the desert.